Hello my name is Teresa and I am a Twihard… if that bothers you (and it really shouldn’t) you can just click the little “x” up top. 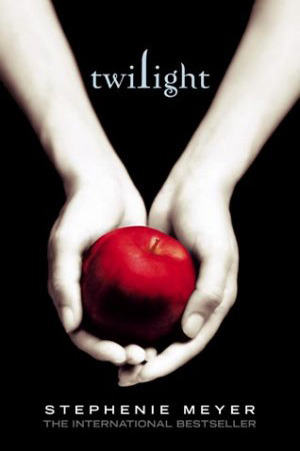 Now, this post is not going to be a typical Readers Live A Thousand Lives post and I am pretty sure it’s a first for the blog, but with this past week and the tenth anniversary of Twilight I just felt the need to get out all of my feelings and post my thoughts on everything. 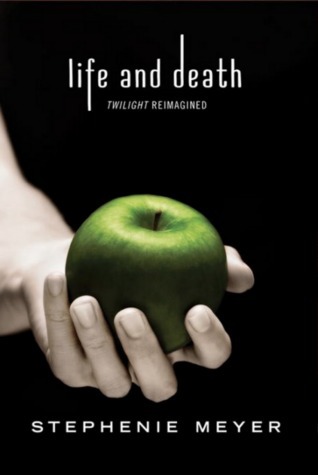 Over the past week I have been so disheartened by so many in the bookish community and their response to the new Twilight: Life and Death book. There has been so much hate from both fans and non-fans over something that was supposed to be fun and it just makes me incredibly sad. A lot of the vitriol has come from the Harry Potter fandom and this in particular makes me want to scream. Anyone who knows me knows that Harry Potter is basically everything to me (Ravenclaw pride! ), so to see so many people who share that passion with me demeaning something else I am passionate about hurts. I will never understand why it can’t be acknowledged that both Harry Potter and Twilight did a buttload of good for the publishing and bookish world? They both had an incredible impact, but in different ways. And the two series are so different that I never ever saw the point in comparing them. The thing that makes me saddest though is that Harry Potter teaches love and acceptance and that is basically the opposite of the way people were acting. Just let Twilight have its moment. Ten years is a big deal and there is no need to rain on their parade. It is okay to not like Twilight, but it is not okay to judge and demean anyone who does. Reading is subjective and that is what makes it beautiful. The perfect book for one person could be hated by another and that’s okay. The next thing that has been bugging me is Midnight Sun. And I know this is going to be an unpopular opinion, but it is mine and mine alone. I’m really not that upset we didn’t get Midnight Sun. Do I want that book? UMM OF COURSE. But I am not going to sit here and complain over a surprise book! When this Tenth Anniversary Edition was announced I was expecting a new foreword, maybe some deleted scenes or new excerpts, and maybe a new cover (basically nothing special), but I pre-ordered it anyway because I am a Twihard and I knew I would want this special edition for my shelf regardless of what it was. So color me surprised when the bonus content was announced and it was an entire book. Just think about that… for bonus content we got a whole book. The publisher could have very easily made this a completely separate book in addition to the Tenth Anniversary Edition, but instead it was bundled into a book many fans were going to buy anyway. Also, when you think about it, the concept is actually pretty cool. Sure, fan fiction has done it before, but when have we ever gotten to see the author herself twist her characters and give us a new perspective. It not only gives us new reading material but also gives us a new perspective into her writing and her world. I for one think that is pretty cool. And if you are thinking, ‘well I wanted Midnight Sun not this’ that is like getting a PlayStation as a gift and then saying ‘oh but I wanted an Xbox’. Stephenie Meyer gave fans a gift with Life and Death and I think it’s really unfair to be all ‘well I wanted something else’. And now about the whole Midnight Sun thing. I know I know… it has been years and why hasn’t she just finished it already? Well maybe because she doesn’t want to… and if she doesn’t want to and doesn’t feel inspired to write it then I don’t want it because if her heart isn’t in it, the book isn’t going to be something we want to read anyway. Guys… we shouldn’t even know this book exists. The only reason we know this book exists is because someone she thought she could trust betrayed her and leaked an unfinished book. If the book was never leaked we would have no clue about it. For all we know she may have finished the book, hated it and decided not to publish it or she may have never finished writing it and never published and we would have been none the wiser. So I really just think it is unfair of us to continually complain and pressure her into writing this book for us. I want it and I want it bad, but until she is ready to finish it I will wait patiently and if she never does I’ll just be happy she gave us the Twilight universe to begin with. For whatever reason, Twilight is a book that gets a ton of hate and the fans get a ton of hate for daring to like the book. Reading is meant to be fun and when people crap all over something you love, it really starts to drain the fun out of it. So how about we all start respecting others reading choices and having discussions instead of just flinging hate around? Books make the world a better place so let’s all celebrate the success instead of trying to tear it down. Exactly, Teresa! I found out yesterday about Life & Death and I just had to get myself a copy (and I did). Seeing so much hate for the book on goodreads saddened me. People these days judge other people for reading YA or Twilight or even Fifty Shades (not a fan btw, but never hated on it) or simply anything. It's the same with music choices. If I were Stephanie Meyer, reading all that hate and crap about myself and my writing (that I/she wrote as a fun surprise for her fans, anyway), would I want to give such amazing fans Midnight Sun? The hate always saddens me. I just never see the point in judging someone for what books they like. I have to be honest, I am not the biggest Twilight fan (though I am Team Jacob all the way), but I respect what the series did. It changed the genre, made reading YA cool the same way HP reinvented MG and had the genre crossing all age gaps. And you forgot to mention 50 shades which is another off shoot of Twilight and a Maverick of sorts. So really if Meyer takes credit for it, not only has she changed the facade of YA, but also breathed new life to the erotica genre AND birthed new writers. She OPENED doors. I am not a fan of Twilight, and I used to snub my nose at those who loved it, but now I don't care. I am glad you spoke up for something that you love. Don't let others hatred shut you down. Great post! I ordered the book in honor of the complaining. I don't have time to read it so I wasn't going to get it now BUT that all changed when I saw all the hatred. What's the deal, peeps? I think ppl just like to hate on hyped up stuff, esp Twilight. Given all its success, ppl just have to rip it apart. Haters gonna hate! True fans and readers know its significance. Great post! I'm never ashamed to admit my love of Twilight.